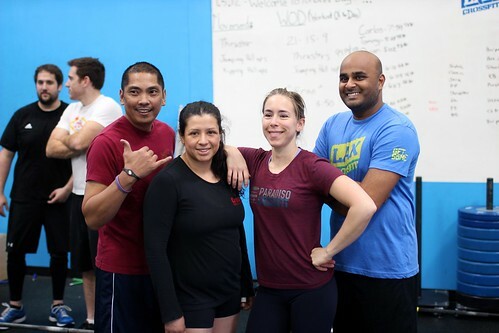 Valentines day Massacre is a partner competition held at Crossfit Ventura. Pre-registration starts on Dec 3rd! This is a fun event, with lots of participants and awesome prizes. There is an advanced and intermediate devision, so anyone can participate. Pre-registration is 150 per couple, it is offered only to a select few affiliates and on December 7th registration will open to the public. After December 7th registration will cost 200. It was a blast last year. A great way to spend the weekend! Let me know if you would like to participate (lara@paradisocrossfit.com) or visit this website. All about fun times and team work!